When sellers post an item for sale in a closed Facebook Group, they expect it to be seen only by members of the group unless they manually cross-post it. But a reader alerted us that some of their listings in a private group also appeared on Facebook Marketplace, where all users could see those items for sale. Facebook responded quickly to our inquiry into why some listings were cross-posting from Buy and Sell Groups into Marketplace and reached out to the seller to better understand the issue. They discovered it was due to a bug that affected a small number of Pages posting an item for sale in a Buy and Sell group - "no personal profiles were affected," a spokesperson told us. "We can confirm we've fixed the issue." In addition, the Facebook spokesperson explained that they were working on a solution for listings that had been cross-posted before the issue was fixed. 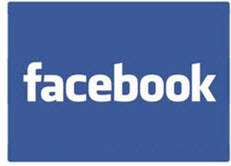 The spokesperson clarified that it is *not* Facebook's policy to automatically cross-post listings into Marketplace - information on how to sell and how to cross-post from a Buy and Sell Group can be found here. She also thanked the reader for bringing it to Facebook's attention. "It's always our goal to give people as much control as possible into where their listings are posted, and we apologize for any inconvenience or confusion caused." We checked back with the seller who was hopeful, indicating that the problem, which had been intermittent, seemed to be fixed. 1. Facebook no longer tells us we have posted in 2 places when we list in our buy & sell group - according to them, we have only posted to the group. 2. The items are still cross posting to marketplace. Other group members see the new listings in the ''Still available at Marketplace'' promo in the right sidebar. 3. If the other member clicks the promo, they are taken to the listing in Marketplace, where it supposedly did not post. 4. If the seller goes to marketplace and searches for their item by title, they are told it does not exist within 100 miles of them. Even though others can see it. We have screenshots confirming all of this. One more thing - the instructions given by Facebook staff for deleting items from Marketplace have been glitchy for more than a month, and are currently not working for me at all. It was one of the issues I talked with them about 2 weeks ago. At that time, it was working as intended on 1 of my 3 devices - my smartphone, but not tablet or laptop. As of today, I'm 0 for 3. The path of You - Your Listings gets me to a blank screen telling me that once I start listing in Marketplace, I'll start seeing messages from interested buyers there. The listings Facebook made for me in Marketplace (without my opting in) are not visible to me there, and so I cannot delete them. MagsRags, How on earth were you able to converse with Facebook staff? When they banned my items for not being in line with their commerce polices, i.e., selling knitting books, black and white fabric, stuffed animals, and a Christmas apron kit, all of which supposedly were not acceptable to their bots, there was no way to reach them about these absurdities. Sell on FaceBook? Your kidding right? Facebook blew the opportunity to create a viable selling venue a long time ago. Do I put my products there? Sure but just for exposure however no one has ever bought anything from me on Facebook. My products are 12% more affordable than eBay which in itself should be enough incentive to shop there. I've found most of them are just folks with too much time on their hands looking for a short time in the spotlight. There's no serious buyers there - well not for me anyway. I don't do Facebook. Seems the OP could get the same results for selling through Craigslist. Also, if they have "Nextdoor.com" which is a "groups" and neighborhood site. OT: Has anyone been seeing Ebay ads on TV??? They're very catchy. Short but catchy. "wow, the FB glitches never catch the same amount of backlash like eBay"
You have to go to socialmediabytes.com for stuff like that. FB is fantastic for selling, but their Marketplace restricts visibility to only 100 miles, except for their "deals" listings which are commercial listings of new mail order stuff, and there is no way to filter them from the local small sellers. To reach internationally, you have to list your items in smaller focuses groups, which are very effective venues. @imbloated, I too got only a canned "thank you for reporting and we're closing this now" response when I tried to use Facebook's Report-a-Problem feature. I emailed Ina, using her "Contact us: - NewsTip" category. After providing Ina with details and screenshots, she reached out to her contacts at Facebook for comment prior to writing this story. Suddenly, Facebook staff wanted to talk to me, and I gave Ina permission to connect us. And we too have the problem you mention, of listings being banned for using words that trigger a 'bot - can't use "military-style" to describe a dress, can't use "poodle print". Meanwhile, if you search Facebook, there are hundreds of listings in Marketplace using Poodle or Military, and even a buy & sell group exclusively devoted to selling accessories for poodle dogs. I'd love to have a conversation with Facebook about this issue as well, but it doesn't feel as pressing as being inserted into Marketplace without our knowledge or permission. @Chicago48, Facebook Buy & Sell groups can and should work well for niche markets. I sell vintage fashion and accessories - started on eBay back in 2001, when it worked very well for unique and collectible stuff. I am a member of an online organization called the Vintage Fashion Guild - trade members are vetted and follow a code of practice. Some of us still sell on eBay, others have their own website, or sell on Etsy - most of us use more than one. I sold my car using Craigslist last fall, but I wouldn't try to sell my vintage clothing there, or on Nextdoor, or facebook Marketplace for that matter. A Facebook buy & sell group can be set up as ''Closed'', meaning prospective buyer/members can be screened. And if folks can't follow the basic rules, they can be removed. This Facebook glitch or change has affected a huge number of private selling groups. Many of these groups are trading in vintage and/or OOAK items that were never meant to be cross posted to a public marketplace. Unfortunately, the glitch has not been resolved and sellers are no longer able to delete their own items from the public marketplace, even after they've been sold. I'm 0 for 2 (iPad, desktop) in getting this Marketplace issue solved, although I'm now (at least today) able to delete and edit selling posts. I have been doing pretty well with Facebook selling in the VFG group (supplementing my Etsy shop), and I like the exposure to new customers—So this is important to me. It has always been said that items posted in closed or secret groups only, will also appear in Facebook Marketplace, but only to members of said closed or secret groups. Naturally, a public group's items will appear to anyone on Marketplace. @imbloated - if you want more than 100 miles exposure, just list it under major cities around the country. I'm in Muskogee, OK and have listed items in St. Louis, MO and Indianapolis, IN.